Join The Harrison Lord Gallery in Brighouse for a “Step into Spring”, a new exhibition of paintings which is sure to lift you out the winter gloom. It opens on Saturday 10th February and features new work by four popular artists. 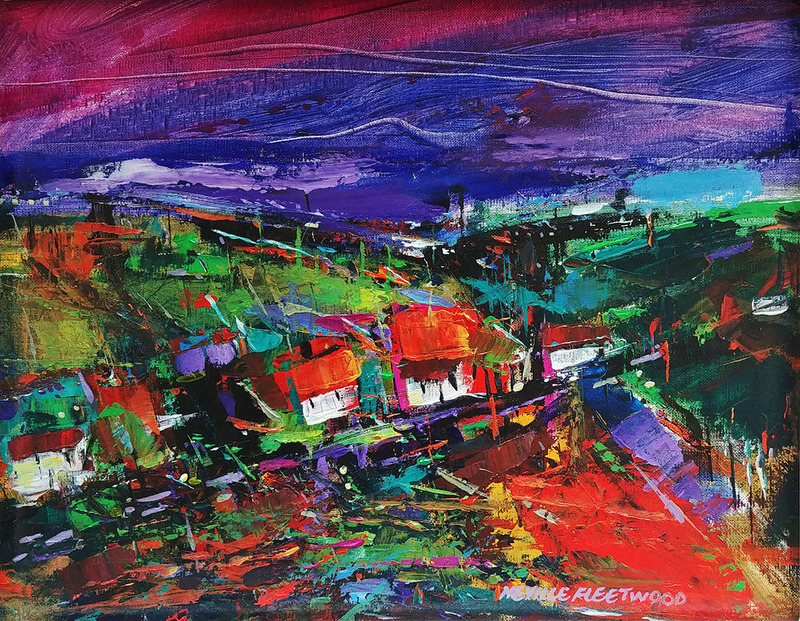 Headlining the show is a large selection of new work by Brighouse artist Neville Fleetwood. Local artist Neville’s work is featured alongside artists Clare Haley, Angela Bell and Catherine McGrath. Angela Bell from Hull returns to the gallery with her highly decorative paintings depicting New York scenes and a series themed around women. Clare Haley has new paintings of the moorland hills in her popular dramatic style . Catherine McGrath’s work is based on the mills and industrial buildings of West Yorkshire. She moulds the buildings into fascinating patterns. The exhibition is free to enter and runs for 6 weeks.